Flowering Date Mid to late spring. 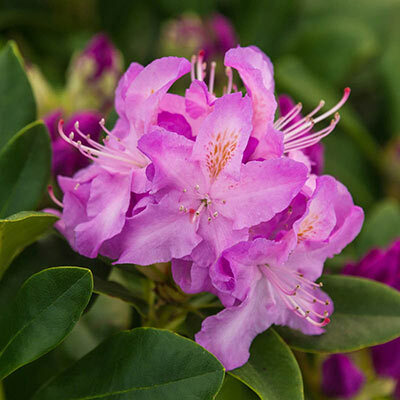 This compact shrub packs a punch with large, showy flowers. Those blooms make it a striking focal point in spring. The lush foliage remains an attractive low hedge or border plant all year–round. Butterflies love it, but deer tend not to bother this variety. 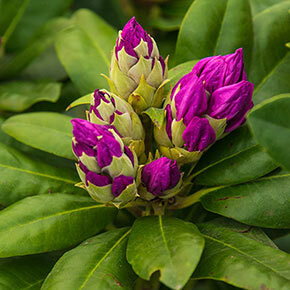 Cunningham's Blush Rhododendron is shipping now, ready to fill out any gaps in your summer garden display. Flowering Date: Mid to late spring. Winter Care: Maintain mulch through the winter months. Never allow to dry out. Remove mulch in early spring before growth starts. Flower Form: Open, funnel-shaped flowers that bloom in trusses. 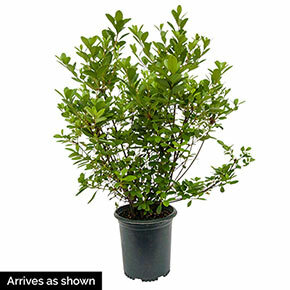 Foliage Type: Oblong, coarse, dark green, glossy, evergreen foliage. Grows in a dense, upright, spreading habit. Grows wider than it does tall. Soil Requirement: Well-drained, moisture retentive, organically rich, acidic soil.